If you had a Game of Thrones viewing party on Sunday night, it’s quite possible you and your friends got dressed up for the occasion. 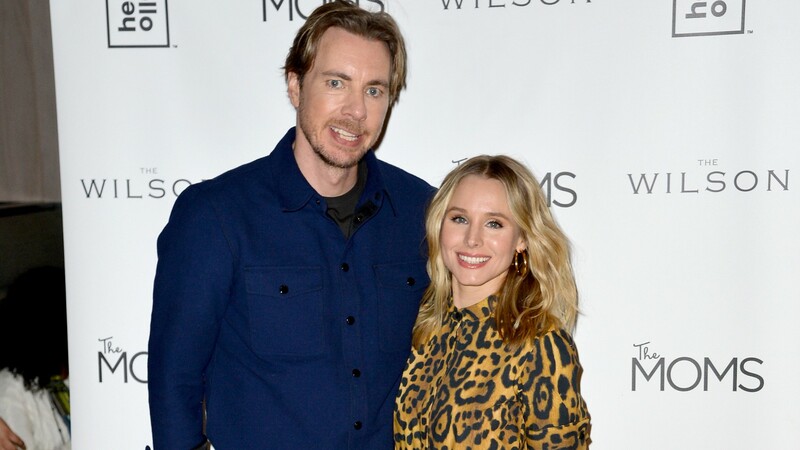 But we’re willing to bet that, no matter how much time you put into your costume, yours is nothing like the ones Kristen Bell and Dax Shepard brought to their GoT season eight premiere viewing party. Bell and Shepard have been outspoken fans of GoT for years, so much so that they once dressed up as Daenerys Targaryen and Jon Snow to perform the show’s theme song in a viral video. This time around, Bell and Shepard took their GoT love to a new level by dressing up in Holloween-worthy costumes to celebrate the show’s return. In a group photo posted to Bell’s Instagram, it’s easy to see that Bell opted to stay comfy but also GoT-appropriate, donning a hoodie and dragon wings to look like one of Daenerys’ dragons. It may be tough to tell what Shepard was dressed up, but if you take a look at his leather jacket and the fact that he’s showing the whites of his eyes, then it’s easy to guess that he’s Bran Stark, a.k.a. the Three-Eyed Raven. The couple’s friends also participated in the dress-up shenanigans, with solid costumes for The Hound, Arya, and even Melisandre present and accounted for. Bell also posted a very cute, short video to her Instagram that gives us a head-to-toe view of her costume. From this angle, it’s easy to see that her hoodie has dragon scales printed on it and it comes with a tail. The accuracy is incredible, TBH. We are completely and totally here for Bell and Shepard’s epic GoT costumes, which are not only a treat to look at, but also prove these two are maybe, no, definitely the most dedicated fans of GoT out there.